Osu offers an ambience that accepts people of every kind, regardless of age, gender, or nationality. 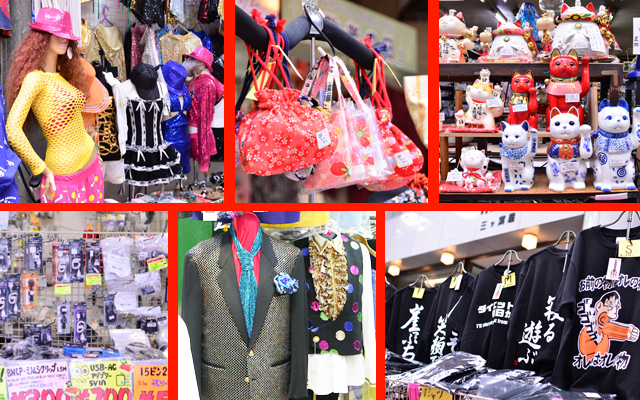 The neighborhood features many shops and businesses that sell overseas-market products as well as many others where non-Japanese congregate. 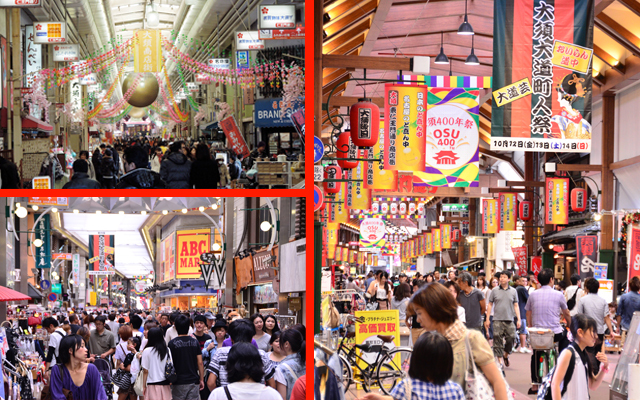 It is a multinational community where you can encounter culture, fashion, and dining from a wide range of countries. Osu is also a fashion district visited by men and women of all ages who seek budget apparel, stylish accessories, and used clothing. This hodgepodge ambience is one of Osu’s greatest attractions. 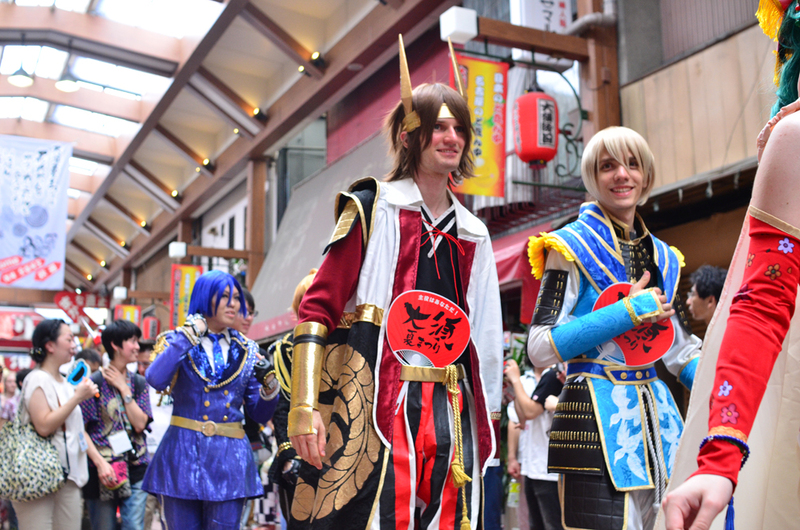 Osu continues to grow as a subculture mecca, offering an increasing concentration of shops and businesses that cater to otaku culture, and in recent years even hosting such global events as the annual World Cosplay Summit. 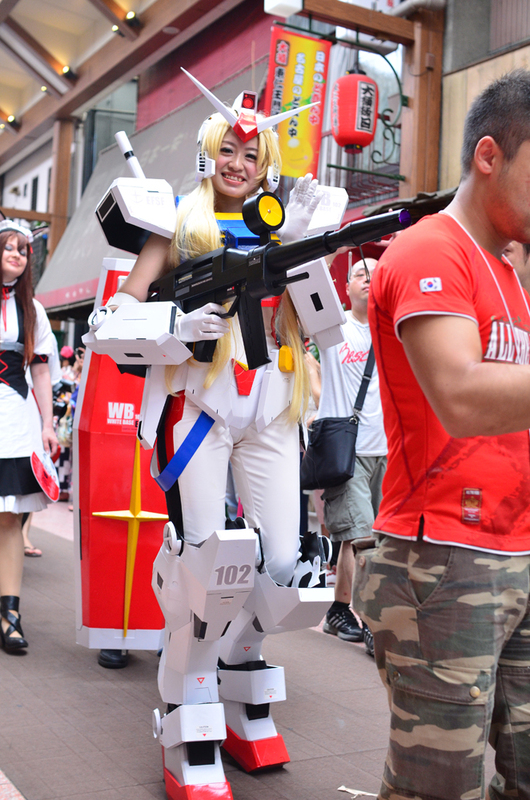 Who knows – you might even run into some cosplayers yourself! 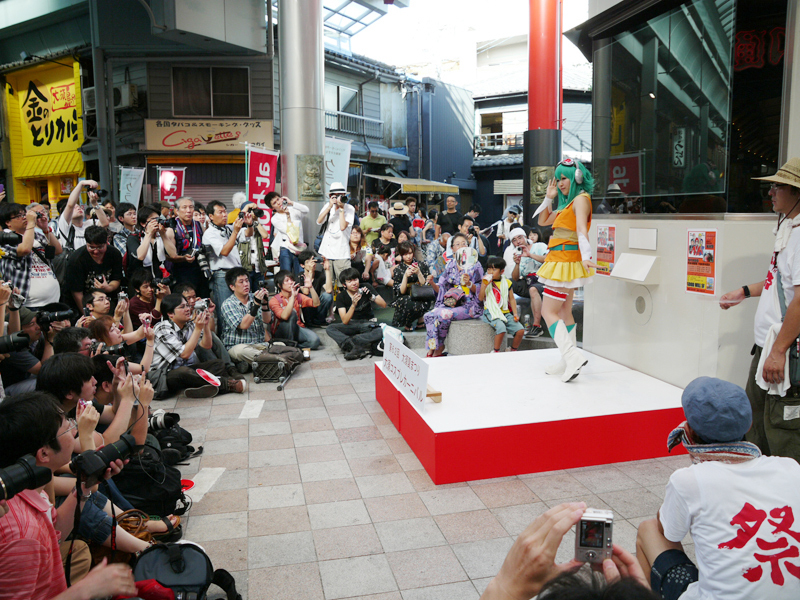 Many moe-themed shops serving food and drink are found in Osu, which is said to be where Japan’s maid café phenomenon first began. 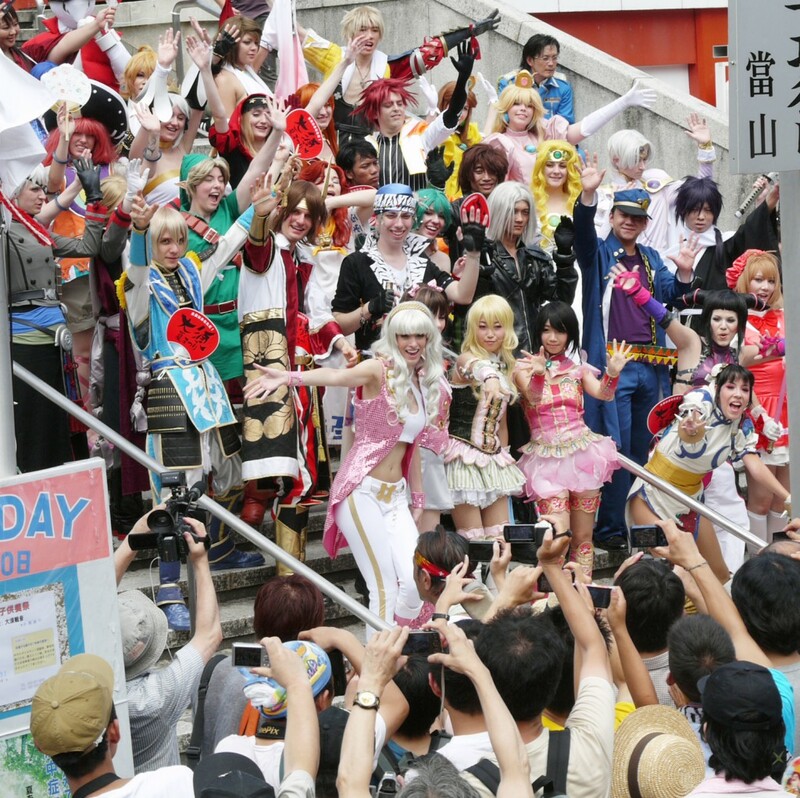 The Osu-based local girl group OS☆U – “Osu Super Idol Unit” – has been an active presence since its debut in 2010. Arcade streets totalling over 1,700 meters in length are packed with restaurants and shops selling clothing old and new, sundries, electronics and appliances, and more. Osu is where fans of the neighborhood gather. 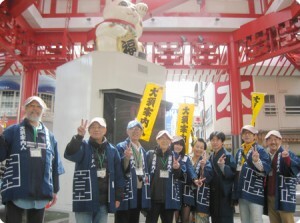 Yearly festivals are also supported by volunteers who love Osu. What’s more, March 2010 saw the launch of the Osu Guide system composed of Osu-loving experts. These volunteers provide information to visitors on weekends and holidays.